This project will activate important resources for EMBRC-ERIC, including a Transnational Access (TA) programme and a central Access Officer to further integrate the marine biology and ecology EU community around EMBRC-ERIC. To apply you need to create a user account, fill in the application form and submit your application. Go to “on-line application system” to start the process. 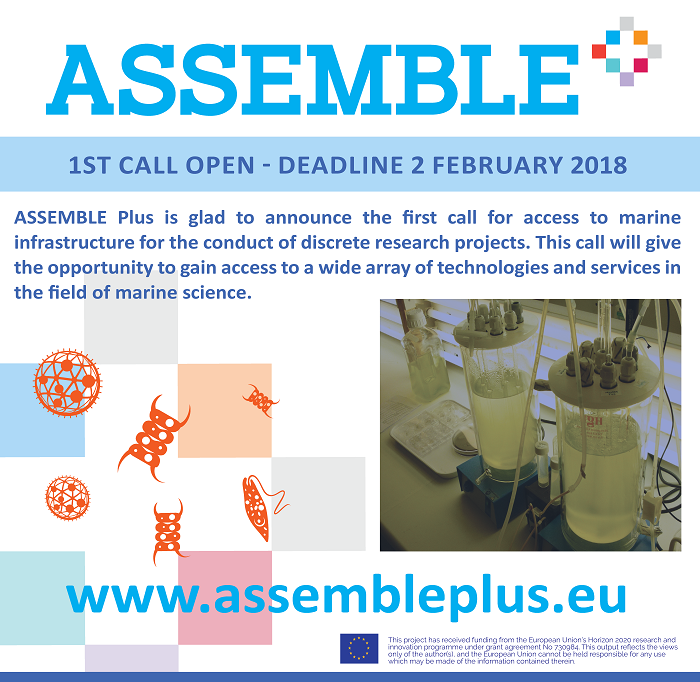 The on-line submission system will open on the Assemble Plus portal on the 5 January 2018 (12:00 CET) and it will close on the 15 January 2018. Applicants are invited to immediately start exploring their project options and prepare their application, even before the online submission platform opens on 5 January 2018. For more information, please click here or contact the Access Officer at access@embrc.org.